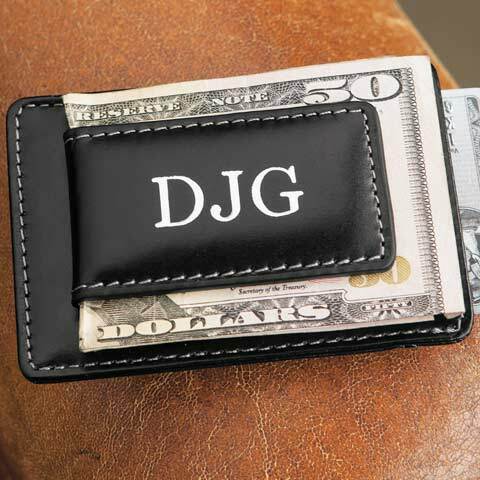 Personalized with the initials of your choice, our Monogrammed Leather Money Clip in black with silver lettering or brown with gold lettering features strong magnets to keep the clip closed and secure and a handy credit card case on the reverse. 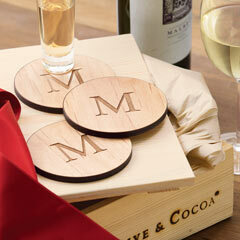 Money Clip measures 3 3/4" x 2 1/2" and comes gift wrapped in a hand crafted wood crate with ribbon. 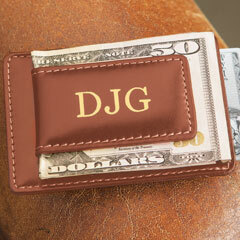 Custom money clip takes approximately 10 days to create. 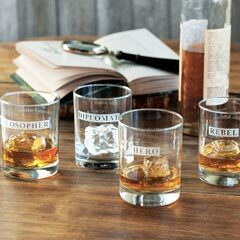 Free personalization. 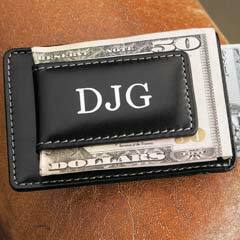 Monogrammed Leather Money Clip is rated 3.3 out of 5 by 3. Rated 5 out of 5 by Linda 1475 from Looked great so pleased. 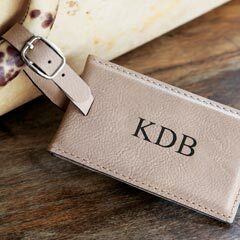 Very nice quality of leather and the initials were perfect. 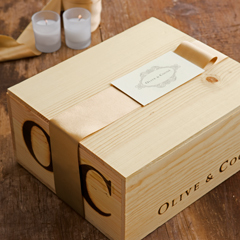 Also the gift box it came in was very special. Thanks. 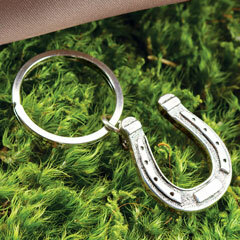 Will sure order again from you all.